Monday Night is Pie Night! Warming, malty and fruity. Pale and amber malts contribute to a mouth-filling and satisfying Horlicks and biscuity maltiness. 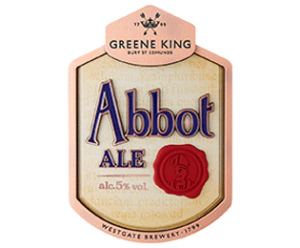 Challenger and First Gold give a base note of herbal hop and Fuggles as a late hop contributes the main fragrant fruity and floral and spicy notes. 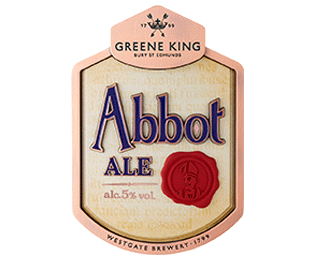 Fermented slowly to give just enough fruity esters Abbot Ale provides a complex, satisfying and warming experience.